From McSorley’s to the Lion’s Head, there is no shortage of classic New York bars with intimate Irish connections. P.J. Clarke’s, at 3rd Avenue and 55th Street, is right up there with the best of them. For well over a century, the squat brick pub and restaurant has welcomed both celebrities and the working class. Legendary Irish actor Richard Harris loved to quip that when he went to P.J. Clarke’s, he asked for “the usual.” Vinny the barman promptly lined up six double vodkas. Frank Sinatra, Marilyn Monroe, Jackie Kennedy and countless other bold-faced names all had a soft spot for P.J. Clarke’s. Given the celebrity pedigree of the joint, it may come as a surprise that P.J. Clarke’s was purchased exactly 100 years ago this year by a humble immigrant from Cloonlaughil, Co. Leitrim named Patrick Joseph Clarke. The history of this acclaimed pub - from its famous patrons to the lesser-known but no-less-fascinating family behind the bar - is the subject of a new book entitled Over P.J. Clarke’s Bar: Tales from New York City’s Famous Saloon by Helen Marie Clarke, whose grandfather was Patrick Joseph Clarke’s brother. How intimately did Helen’s family know P.J. Clarke’s? Her father - and his five brothers - grew up in the flat over the bar. “Going there as a kid really made an impression on me,” Helen told the Irish Voice this week. The bar, meanwhile, has been making an impression on New Yorkers for generations. Aside from its glitzy clientele, P.J. Clarke’s has been the bar to turn to for famous filmmakers. P.J. Clarke’s is one of the stars of Billy Wilder’s classic tale of alcoholism, The Lost Weekend. Popeye Doyle, in French Connection II, orders one of the bar’s famous burgers, and iconic New York Irish journalist Pete Hamill sits down with Al Pacino in P.J.’s in the whistleblower flick The Insider. But for Helen Marie Clarke, the story of P.J.’s is decidedly more personal. She recalls a moment as a young girl, walking through the bar with her granduncle Paddy, and looking at the portraits on the wall. Hanging near the Irish Tricolor, Uncle Paddy noted, were portraits of Irish revolutionaries Robert Emmet and Michael Collins. Indeed, part of telling the story of her family’s famous bar was exploring the darker side of her family’s deep Irish roots. “My grandfather wouldn’t talk about Ireland,” Clarke says. She came to see that the immigrant generation in her family was reluctant to talk about the past. Helen chalks this up to the economic hardships they endured in the late 19th century, as well as anger over what the British had done to her family’s ancestral home. “I wish he would have talked about the bar more,” Helen says, when asked about her Uncle Paddy. To write her book, Helen relied heavily on the recollections of her father and her Uncle Joe. Despite the portraits of Irish revolutionaries and the Irish Republic Proclamation, Clarke didn’t grow up with a particularly strong sense of her Irish roots. This even though her family lived a very typical New York Irish life. Her own father, John, was a New York City Police officer who, after living above the bar, lived with his family in the Irish stronghold of Woodside, Queens. Still, not until Helen visited Ireland in 1970 with her husband did she begin to appreciate the importance of her family’s Irish roots. She met Irish relatives members while visiting in 1970 and returned in 1989, and to this day stays in touch with cousins from Dublin. In fact, an Irish book editor named Vanessa Fox O’Loughlin helped make Clarke’s book a reality. “She’s like a sister to me,” says Clarke, whose agent, Paul Feldstein, is based in Belfast. 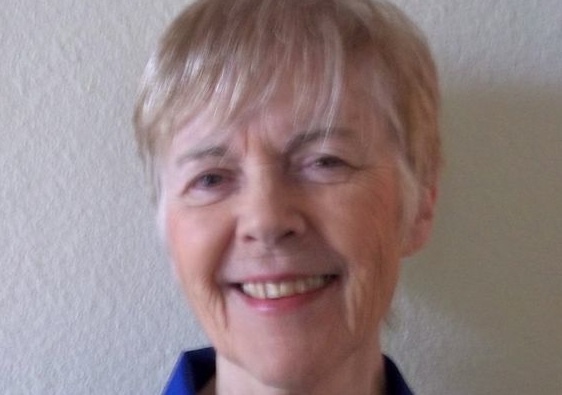 Clarke, who now lives and teaches in New Mexico, is also working on a novel about the life of famed Irish revolutionary Constance Markiewicz, and is also hoping to publish a second memoir. For now, she is enjoying the feeling of holding her book about P.J. 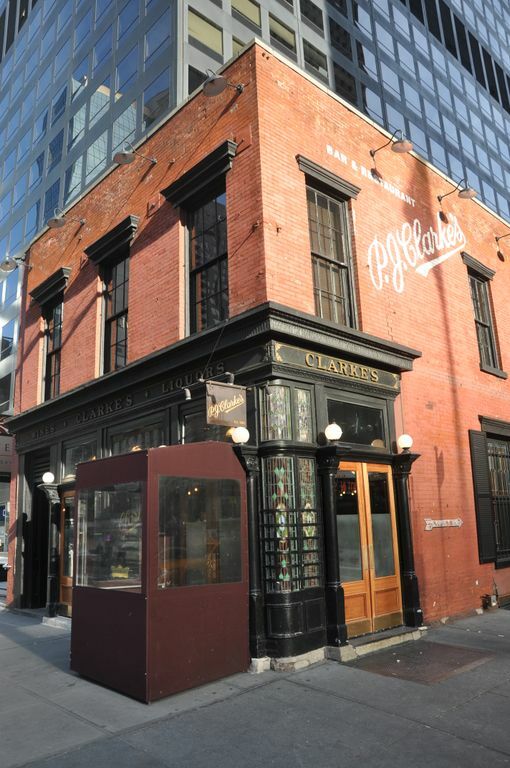 Clarke’s which, for many readers, is a chronicle of a legendary New York watering hole. For Helen, however, it is a prized family record of a distinguished Irish American clan. “I can’t believe it,” she says.